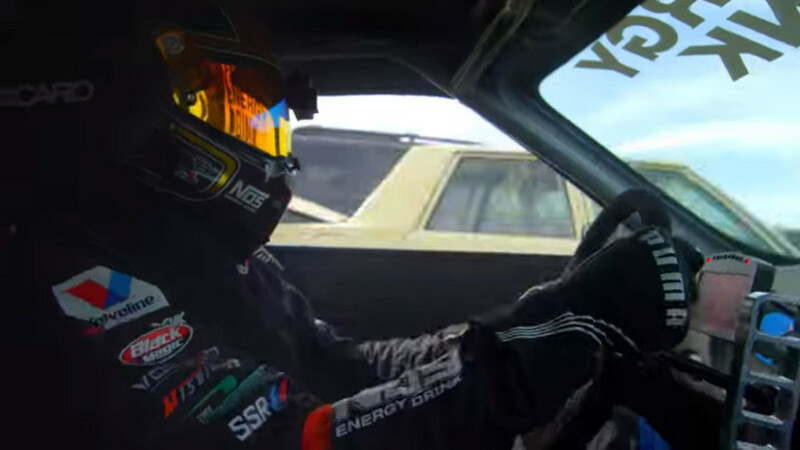 Drifting was obviously around long before professional drifter and opposite-lock master Chris Forsberg got behind the wheel, but the bar for crazy car-control videos has been continually raised ever since Ken Block busted out his first gymkhana clip some years ago. The latest exhibition of exquisite opposite-lock fun comes at the hands of Forsberg and a Nissan 370Z, and if we’re honest, it’s one of the best examples of precision car control we’ve ever seen. The video is called Proximity, and the name is absolutely appropriate. The setting is a junkyard in Los Angeles, and Forsberg wastes no time in dispensing with the awesome. We will let the video speak for itself, but before clicking the play button, heed this bit of advice: the sections that seem less exciting are generally where the greatest displays of skill and outright courage take place. Jump to 1:23 if you want to see what we’re talking about. 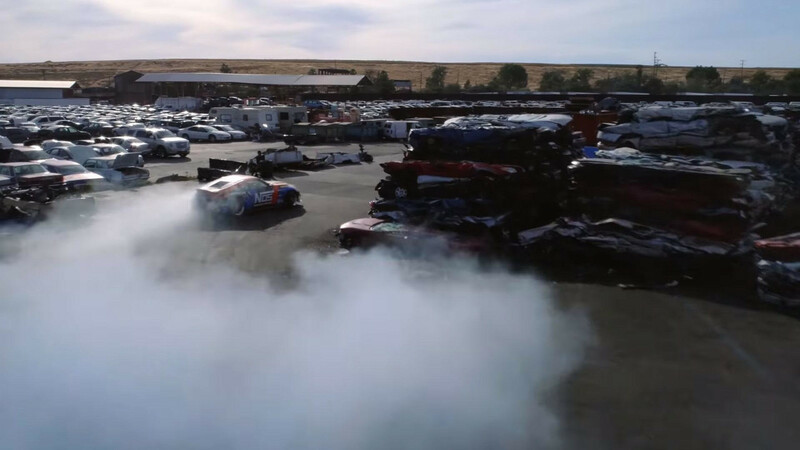 Speedhunters wrote up a neat behind-the-scenes take on the event, explaining the action as well as some of the “special effects,” namely the plates filled with colored dust that Forsberg clipped on just about every corner. The inspiration came from the Hindu festival known as Holi, which basically celebrates spring using, among other things, colored powder. As such, the plates were filled with shades of dust matching the livery of the modified Nissan. The rest, as they say, is history. 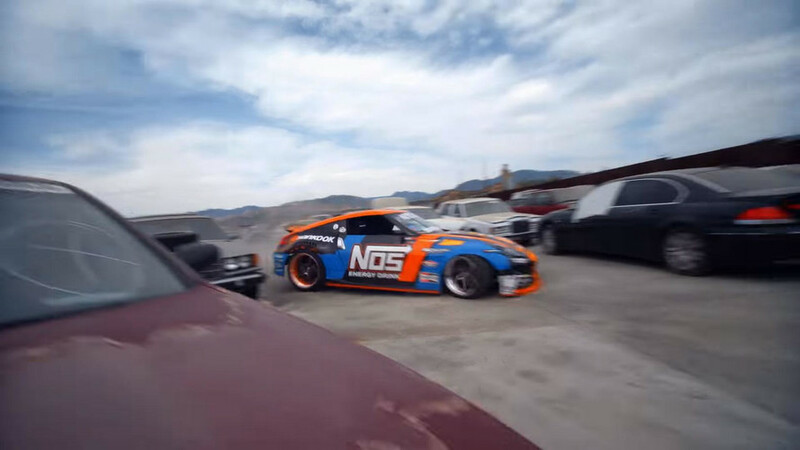 It’s one thing to dance a car around barrels or through a gymkhana course, but we give all kinds of props to Forsberg for maneuvering his 370Z in such tight quarters around some extremely solid obstacles. This is one of those videos we’ll be watching a few times, just to pick out all the details we missed watching it the first dozen views.